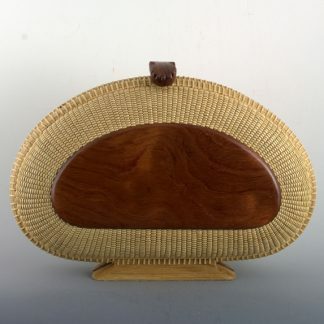 8″ oval clutch Nantucket Lightship Basket. 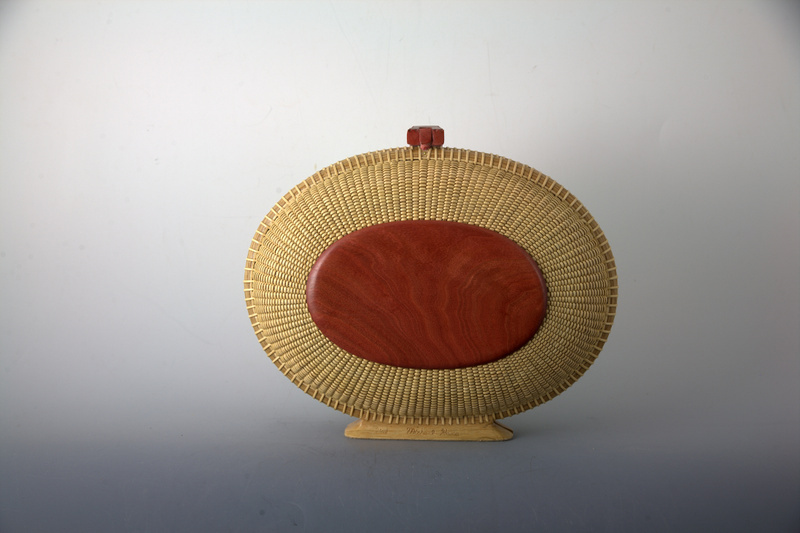 8″ oval clutch with pink ivory wood tops front and back and magnetic clasp to close. 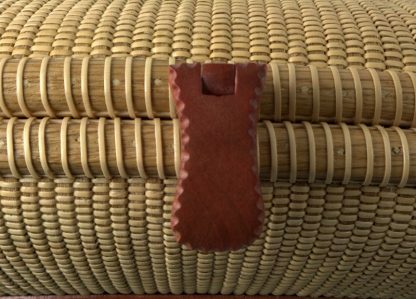 The basket also has a burgundy ultra suede liner and a braided leather cord for use hands free. 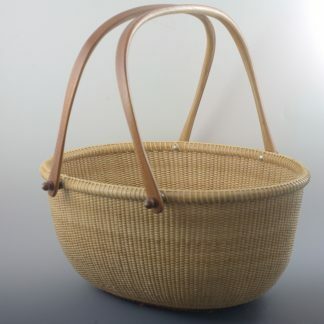 The actual finished measurements of the basket are 9″ x 7″ x 3 1/4″ wide. 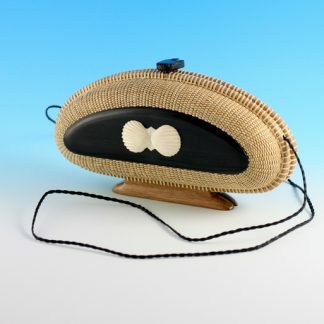 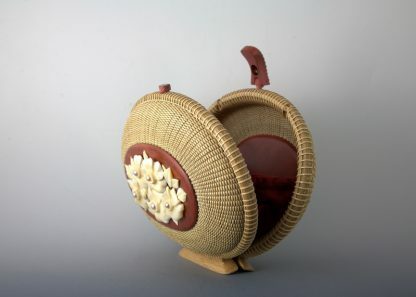 All of Michael’s clutch baskets have a stand that makes it easier to carry and is great for displaying when not in use. 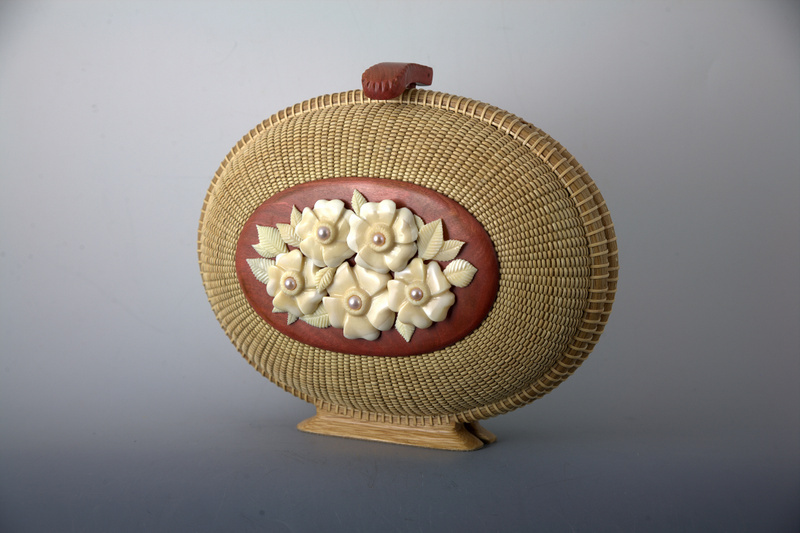 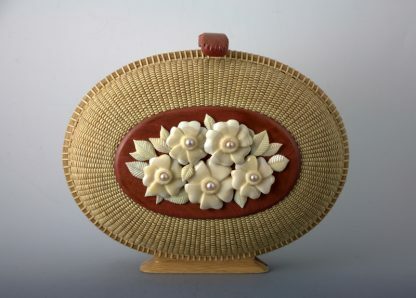 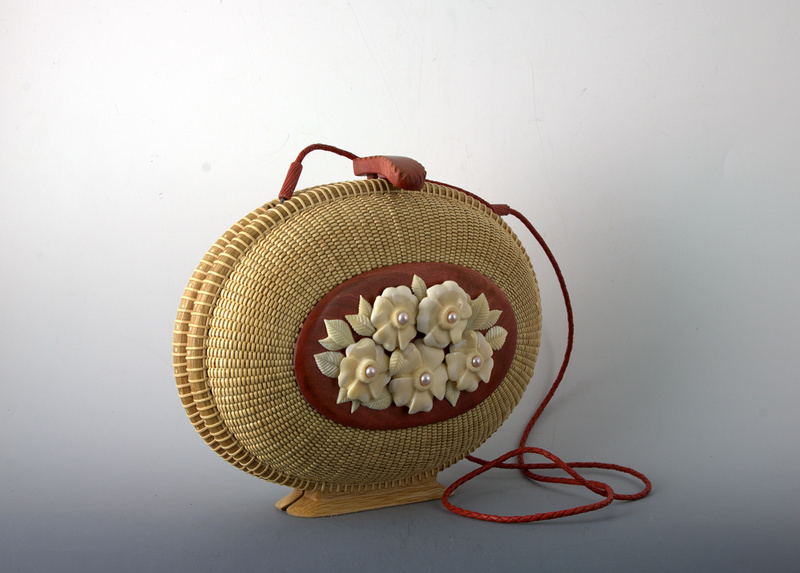 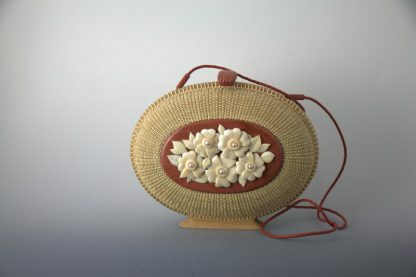 This basket has beautiful carved rosa rugosa flowers with akoya pearls in the center to decorate the front of the clutch. 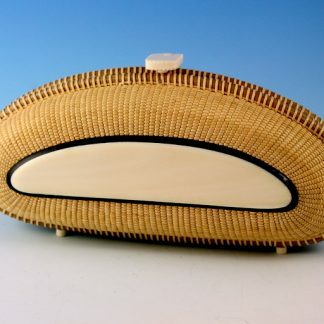 The carvings are done by Michael Kane out of whales tooth. 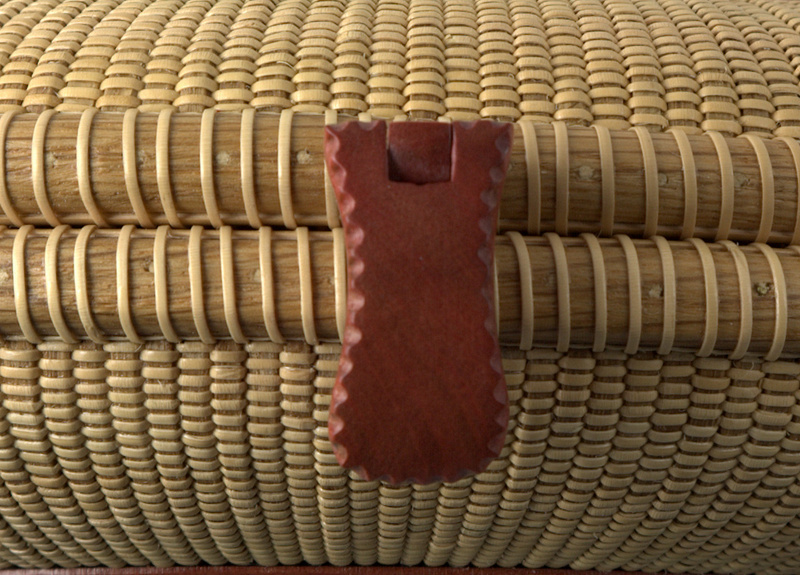 You can still add something to the back or leave it as it is.